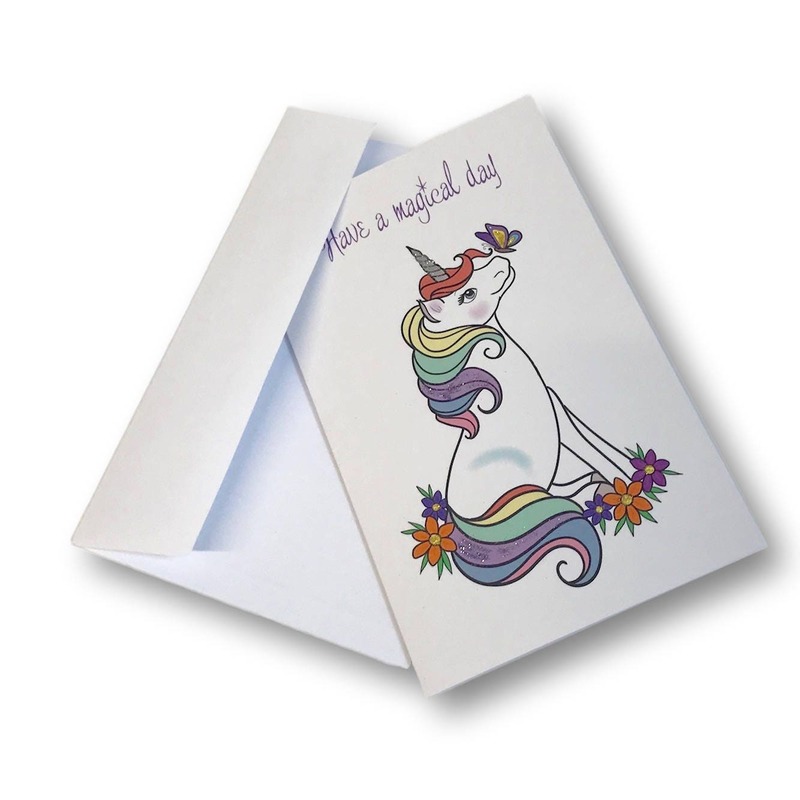 Sitting unicorn design, vertically folded, greetings card with the wording 'Have a magical day'. White envelope. This card is made from 270gsm 100% recycled paper and has been left completely blank inside for you to write your own message. The unicorn design is embellished with just a touch of biodegradable, plant-based glitter with great green credentials.